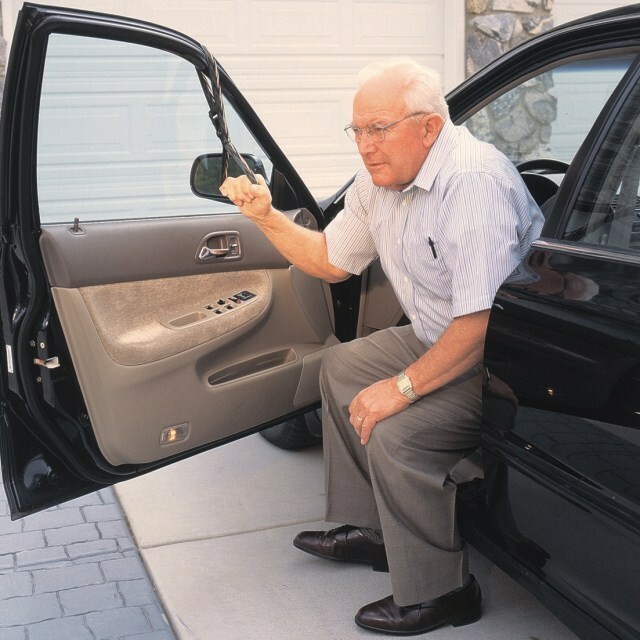 Car Caddie Helps Users In Or Out Of Their Car Seat. 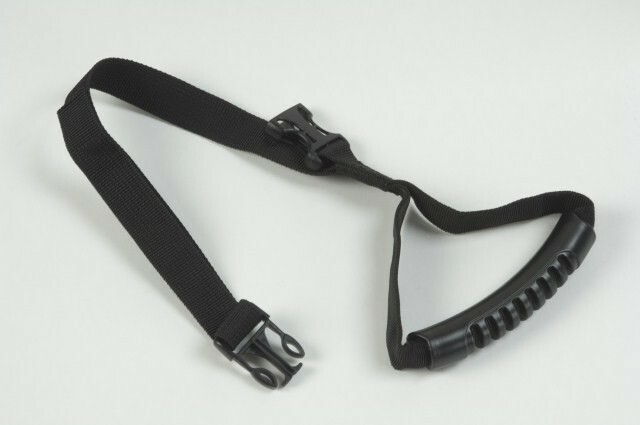 Provides support to pull up from when getting into or up from a car seat. Cushioned grip provides a comfortable gripping surface. Straps around the top of the window frame, secured in place with a buckle. Handle height can be adjusted. Portable - Car Caddie is not permanently secured - it can be carried with you and used when travelling in other vehicles. Made of durable long lasting nylon.